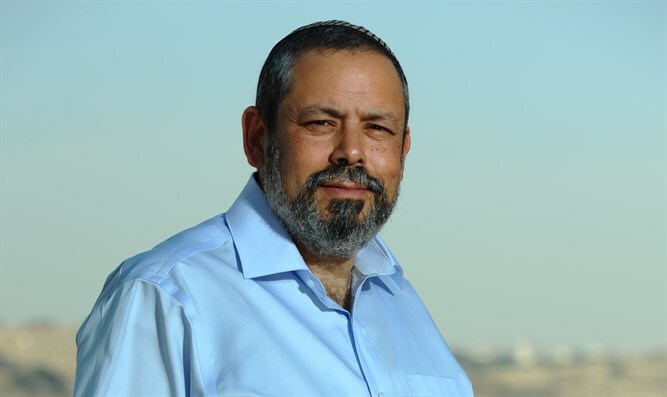 Mount Hevron Regional Council head Yochai Damari welcomed today (Tuesday) the Knesset's passage of the Regulation Law. Damari said that this is an historic day and marks the beginning of a revolution: "I welcome the law that was passed yesterday in Israel. This is an historic law. Even if the Supreme Court overturns it, we stand at the beginning of a revolution. It is inconceivable that for fifty years, eight percent of Israel's citizens have lived here as Grade C or D citizens." He said an anomaly exists in Judea and Samaria where only the Jewish citizens and a minority of Arabs live under martial law. "Israeli law applies to all of Israel except Judea and Samaria. In the Palestinian Authority two million Arabs live under PA laws, and in Gaza, under the laws of the Gaza, whereas in the entire expanse of Judea and Samaria a half-million Jews and 150 thousand Arabs live under military government rule. This must end. "The Regulation Law is the beginning of a real arrangement - applying Israeli sovereignty also over our territory," said the council head, declaring that he does not fear the legal system's intervention: "Even if the Supreme Court overturns the law, I have no doubt that this distortion will stop and we will find ourselves in a better place, with a better law reaching the Knesset's doorstep, and if not this Knesset, then it will be the subject of the next election."